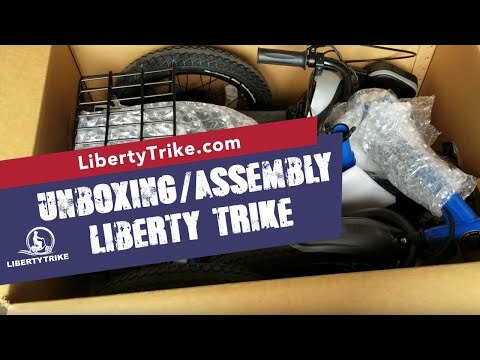 Unboxing and Initial Assembly of the Liberty Trike. This is the latest “unfiltered” draft. Audio updates imminent. The Liberty Trike Adult Electric Tricycle is the World’s Most Popular Electric Mobility Tricycle. We’re available Monday through Friday 9am-6pm EST via phone at 866-894-4620 and can be can also be reached anytime by sending an email to support@libertytrike.com.